In addition to our AIA presentation, we’ve developed a few other tools that can help you take the guesswork out of planning storage and shelving for your upcoming justice-focused projects. Our new iPad app is everything you need to get started on storage planning for a facility—no matter what part of the process you’re in. With photos, videos, case studies, and technical information, it’s your all-in-one resource for visionary inspiration or technical support. The iPad app is for use with iPads only, and can be accessed by following the simple instructions below. Please contact us if you have issues finding or downloading the app. the first cut sheets for temporary evidence lockers and personal storage lockers. 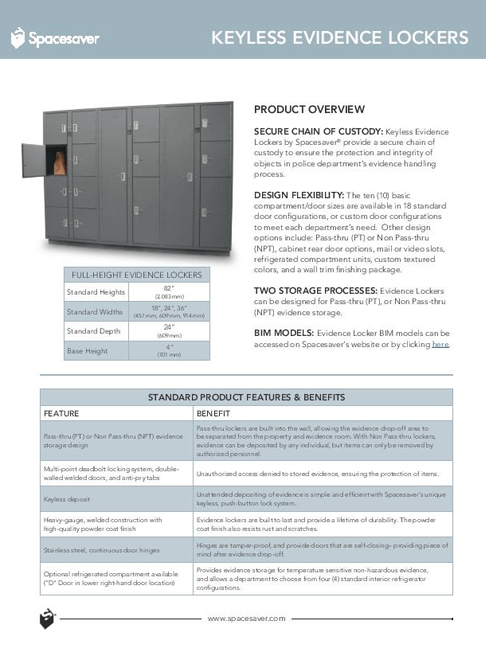 Provides a high-level product overview of our temporary evidence lockers. 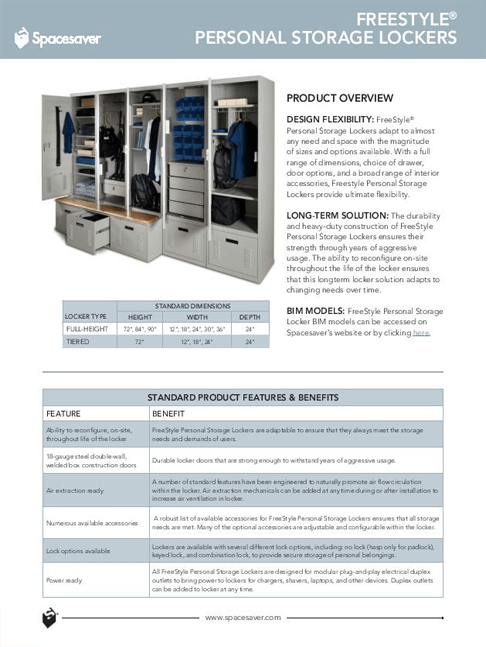 A high-level product overview of the FreeStyle locker line.